Have you had your first BBQ of the summer yet? If not then why not? 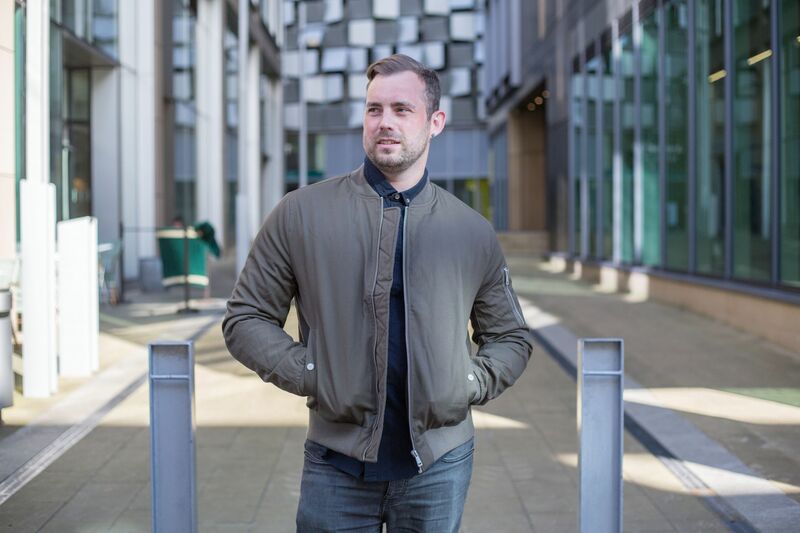 As soon as the sun is even slightly out, it’s the perfect excuse to dig it out! I mean who doesn’t love tasty BBQ treats washed down with a few of your favourite beverages? I have a few simple but really tasty ideas which would be great addition at any BBQ. Cut up chicken breast into bit sized chunks (about 2cm) and put on skewers. 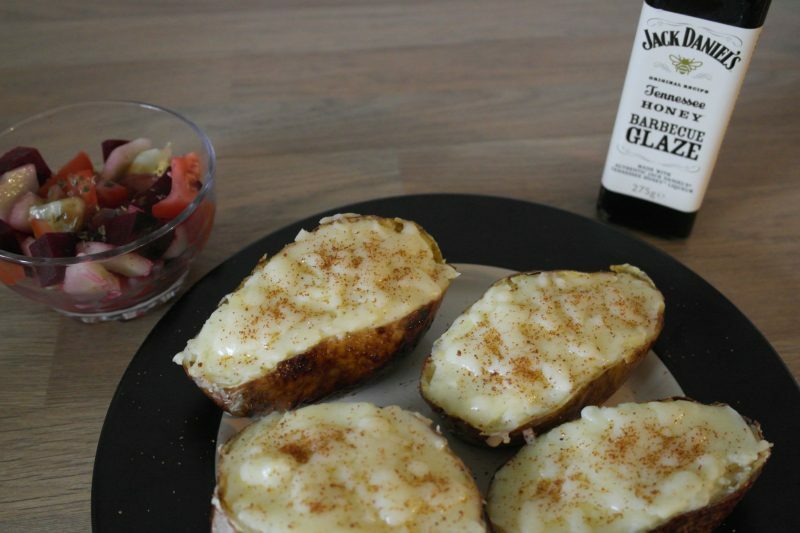 Place a small amount of the Jack Daniels original sauce in a bowl and add a dash of olive oil to make a marinade. Brush the marinade over the chicken skewers and place in the fridge for a couple of hours. Grill on the BBQ until fully cooked and serve with a side salad and dipping sauce. For me, no barbecue wouldn’t be complete without chicken. 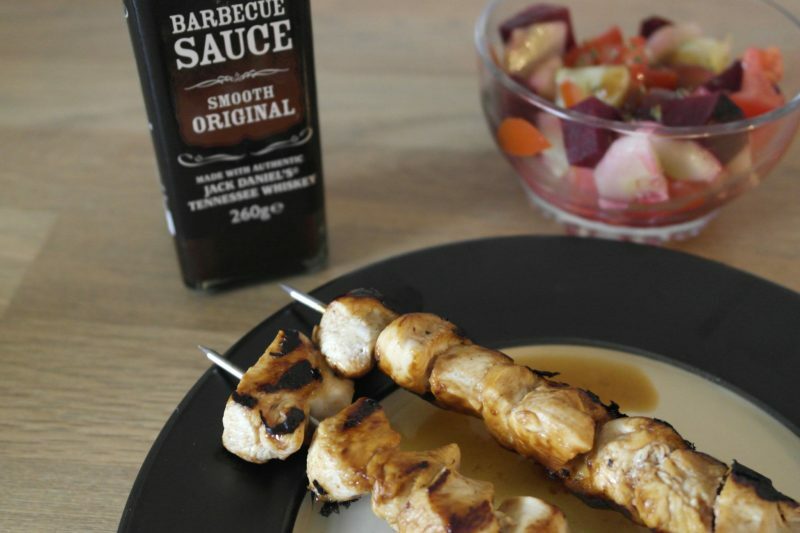 The Jack Daniels Smooth Original gives the chicken kebabs a sweetish caramel flavour, giving a nice twist on a popular snack! This is a great recipe if you’re a big fan of the Jack Daniels Tennesee honey! It’s also great for the none meat lovers or as a side to go with your barbecue meat selection. Take a couple of baking potatoes, glaze the skins with Jack Daniels honey barbecue glaze. Place in a pre heated oven for one hour at 200 degrees until the skin is crispy and inside is soft. Half the potatoes and remove the flesh from the skins and place in a bowl and mix with 250g of grated cheddar cheese. Mash the potato and combine with half the cheese. Return the potato mix to the skins, drizzle with Jack Daniels honey glaze and return to the over for 10-15 minutes. Serve with dipping sauce. Believe me this is such a tasty side and really easy to make! The sauce is infused with soft flavours of my favourite drink at the moment, Jack Daniels Tennessee honey! 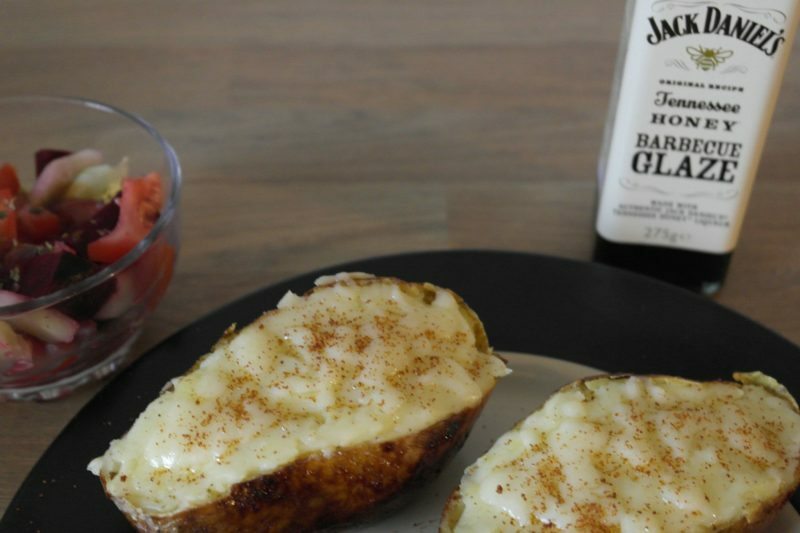 The glaze gives the potato skins a really nice sweet but smooth flavour and crispy texture. 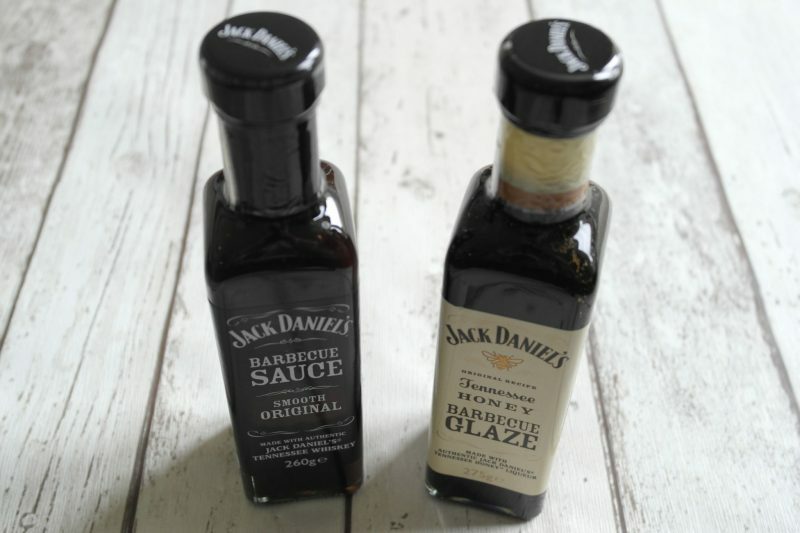 The Jack Daniels BBQ sauces all are infused with Jack Daniels Tennessee Whiskey or Jack Daniels Tennessee Honey, they have something for most tastes (6 different flavours), I know I’ve got my eye on the Hot Pepper Steak Sauce… sounds like the perfect accompaniment for a nice juicy steak! You can pick up the new Jack Daniels Tennessee Honey sauce and others in most stores in the UK, RRP £2.19. Have you got any BBQ recipe ideas? I’d love to hear them, let me know in the comments below.